Find a Blues Brothers Tribute Band for hire near you in minutes! Option 1. 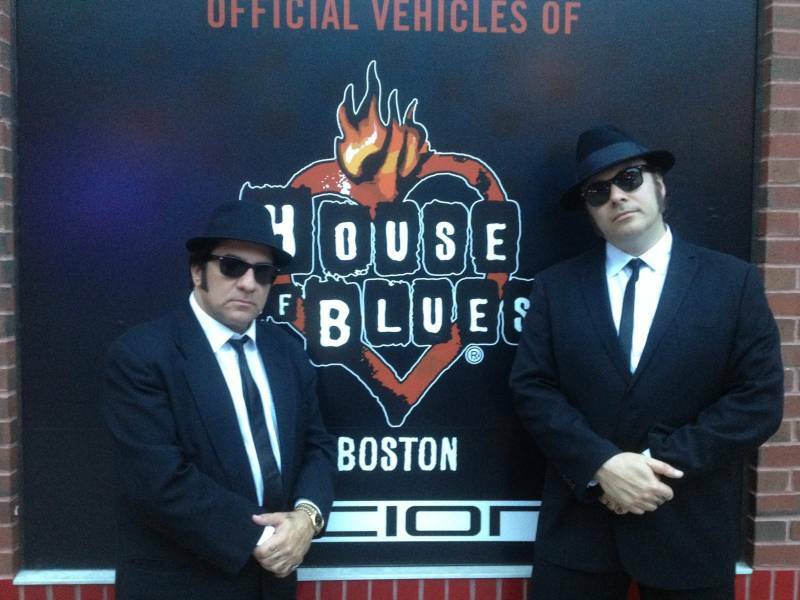 Enter your event location below & contact a Blues Brothers Tribute Band directly! Option 2. Request multiple quotes from available Blues Brothers Tribute Bands Get Quotes! Option 3. Read information & advice on hiring Blues Brothers Tribute Bands Read Advice! WANT TO KNOW MORE ABOUT BLUES BROTHERS TRIBUTE BANDS? Read on for the most comprehensive guide to booking a Blues Brothers Tribute Bands, including how much a Blues Brothers Tribute Band costs, exactly what they will do at your event, plus tips, advice and information to help make your event one to remember! 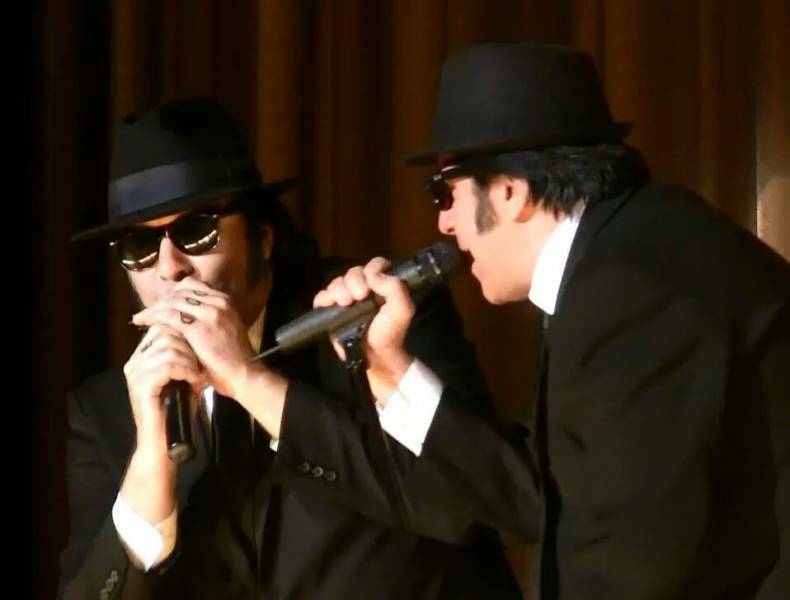 With a Blues Brothers Tribute Band, you will get the best Jake and Elwood Blues impersonators out there! playing the best Blues music in the world! What exactly will a Blues Brothers Tribute Band do at your event? Hire a Blues Brothers Tribute Band and the whole of your audience will ‘Shake a Tail Feather’ at the wonderful sound of the Blues music and Soul music that the Blues Brothers film is famous for! You can expect a night of live songs that were originally written and recorded by the best Blues and Soul singers in the world! There are some really wonderful songs on the Blues Brothers soundtrack that include: ‘Think’ (with the amazing Aretha Franklin) ‘Minnie the Moocher’ with the sensational Cab Calloway and of course, the timeless urgency of ‘Everybody Needs Somebody!’. Mainly, a Blue Brothers Tribute Band will entertain your audience with a fantastic live show that will put the wow factor into celebrations and impress your guests, whatever their entertainment tastes may be. What event types are Blues Brothers Tribute Bands hired for? Hire a Blues Brothers Tribute Band for your wedding reception and you won’t be disappointed! The newlyweds can be greeting the guests into the drinks reception venue whilst the Blues Brothers Act are set up on stage, playing upbeat songs to relax everybody such as ‘Sweet Home Chicago!’. The wedding breakfast is that time of the big day which will see the cutting of the cake and the wedding speeches. What better way to sound track this than to hire a live Blues Brothers Tribute Band?! Nice, loose and easy songs such as ‘She Caught the Katy’ would be perfect for a moment such as the wedding breakfast! Hire a Blues Brothers Tribute Band for your wedding evening reception and you will get a Blues covers band that will play the biggest Blues hits ever! As well as covering the Blues Brothers Soundtrack, they may also throw in a few of the most popular Blues and Soul hits in the world. With The Blues Brothers, you can be sure that everybody will be captivated and enticed from the moment the musicians walk onstage! Everybody at your wedding reception will be doing the ‘Mash Potato’ ‘The Twist’, The Monkey’, ‘The Fly’, ‘The Swim’ and ‘The Frug!’ before they know it! A fantastic way of helping your co-workers to bond is by playing music that everybody will love. Well, hire a Blues Brothers Tribute Band and you will be getting live Blues and Soul music that will be a brilliant common ground for all at the work-event! Such is the popularity of the Blues Brothers franchise, that a vast amount of memorabilia is sold because of the strength of the brand. Whether it’s mugs, posters, soundtracks, DVDs, coasters, dolls, clocks or fancy dress sets, the Blues Brothers can sell anything! So, we highly recommend hiring a Blues Brothers Tribute Band to play at your trade event or product launch! There are so many reasons to hire a Blues Brothers Tribute Band for your party it’s impossible to go through them all! The Blues Brothers film is one of the most popular and funniest films of the 1980s (no to mention the sequel!) 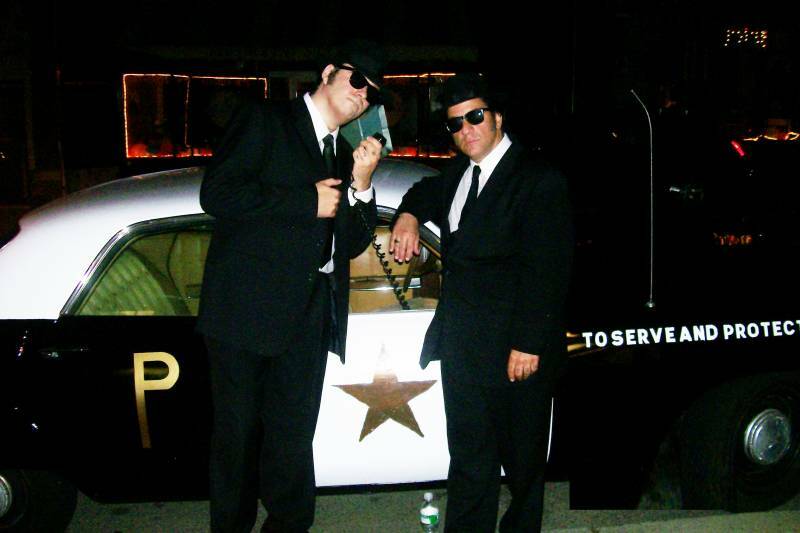 So you may want to hire a Blues Brothers Tribute Band for your movie themed party! Also, why not hire a Blues Brothers Tribute Band for your fancy dress party?! Because the Blues Brothers have such a strong image with the shades, the trilby hat and the black suits, the Blues Brothers are always popular at fancy dress parties! A Blues Brothers Tribute Band would be perfect for somebody who loves the best music of Blues and Soul, and also perfect for a fan of comedy films! How much do Blues Brothers Tribute Bands cost to hire? Our simple to use entertainment directory allows you to firstly search for the best Blues Brothers Tribute Acts who are local (or travel to your area) and then via the contact form you may message them directly to enquire for a no obligation quote to perform at your event. Some acts will also add a rough price guide to their profile for your convenience. What are the usual set formats and performance lengths for Blues Brothers Tribute Bands? A Blues Brothers Tribute Act can tailor their performance to times to suit you and your event, however, on average a professional Blues Brothers Tribute Act will perform for two 45 minutes sets. How much space will a Blues Brothers Tribute Band need at your event? A Blues Brothers Tribute Band will need enough space to play comfortably as a 5 piece, which is the average amount of musicians in a covers group. You will need to provide space for a drummer, a bassist, a guitarist, a keyboardist and a singer. The average space needed for a stage is 4 meters wide and 3 meters deep. What equipment and set up requirements do Blues Brothers Tribute Bands need? As with most artists who sign up to Entertainersworldwide.com, a Blues Brothers Tribute Act will provide all of their own equipment. You may want to enquire if an artist needs a PA to amplify their sound, in which case we would advise to use our easy to use messaging service to find out. We do ask that each performer gets a backstage area in which they can prepare for the performance ahead. If your venue does not have a backstage area, then we kindly ask that you enquire with the venue to seek an alternative space in which the performer can comfortably get ready to entertain. How can you find and book a Blues Brothers Tribute Band with Entertainersworldwide.com? WANT TO RECEIVE A RANGE OF QUOTES FROM Blues Brothers Tribute Bands?